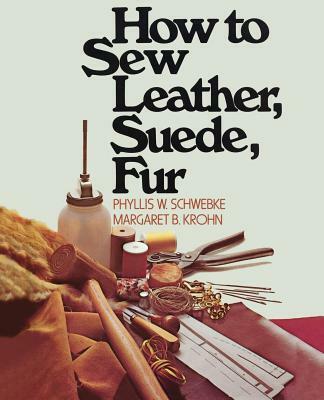 "How to Sew Leather, Suede, Fur" is a practical, detailed guide to the techniques of sewing with skins and furs. From pre-sewing operations to finishing touches, here are illustrated instructions for every step in creating luxurious garments. From the creators of the hugely popular craft site, Supernaturale.com, comes a hip and funky compendium of new DIY projects that reshape, reuse, and redefine the concept of "handmade," moving away from country-cutesy, granny craft into utilitarian craft art for the 21st century. Got a pile of extra buttons and don't know what to do with them? Make a cool bracelet. Need some pillows for your new couch, and have a bunch of old wool sweaters? Turn those sweaters into felt Knitting, felting, leather tooling, glass and metal work--it's all here. CRAFTIVITY is filled with 60 amazing DIY projects that make the most of what you have by taking old stuff and turning it into functional, breathtaking art. The first in a series, Mitsuki Hoshi's crafty collection is packed with four-color photographs, patterns, and instructions on how to craft a tumbling litter of adorable canine Amigurumi--the wildly popular crocheted stuffed animals from Japan. The perfect go-to guide for every stripe of crochet artist, from the crafting commuter to the full-time hook-and-needler (and the perfect gift for anyone who could use an extra dose of over-the-top cuteness in their life), Hoshi's Ami Ami Dogs is sure to knit smiles and tail-wagging into the fabric of any home it joins. Japanese masters have developed the techniques of ikebana over centuries and, while many different styles have evolved, they all share the same fundamental principles. The art embodies aesthetic considerations, knowledge of the natural forms of plants, and a profound understanding of the space around them. This book explains these principles by describing the lessons learned from master arranger Bokuyo Takeda and the underlying Zen symbolism in the art of ikebana. Readers will learn that training in ikebana is a process of achieving spiritual enlightenment and that the craft of arranging flowers is a form of meditation. These lessons provide a perfect escape from the stresses of everyday life and the incomparable satisfaction of creating beauty in the home. Updating traditional lace patterns into wearable art by applying favorite motifs to create chic crocheted attire, Chan presents 20 fresh, fantastic designs for beginning and advanced crocheters alike. Full color. Extraordinarily clever ways to transform any ordinary T-shirt. The pattern techniques are simple, and the supplies you'll need are easy to find: T-shirts, scissors, sewing needle, and thread. 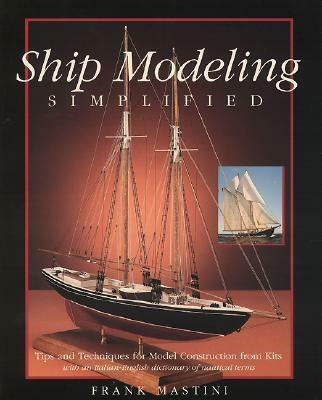 The difficulty of each project is rated from 1 to 4, and none take more than 30 minutes to create. You'll never look plain wearing a T-shirt and jeans again. The founder of Twinkle, a successful designer line of clothing, shares 31 patterns for stylish, chunky knits that are sweet, sophisticated, and quick to make. Chunky yarns have never had a reputation for looking stylish--until now, as these whimsical and hip pieces demonstrate. From his monthly segment on the "Today" show to his own syndicated garden programs, people look to Smith for ways to design, update, or reinvent their outdoor garden spaces. Now, Smith turns his attention to the indoors--specifically, how to use the bounty of the garden to decorate the home. 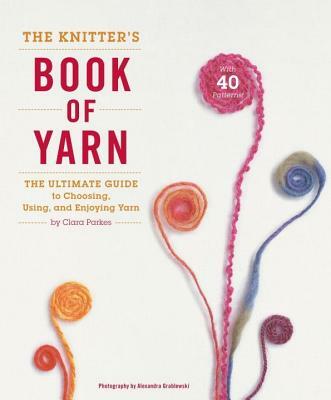 In this complete guide to wool, passionate wool expert Parkes translates the vast world of sheep and their wool into the language and context of knitting.